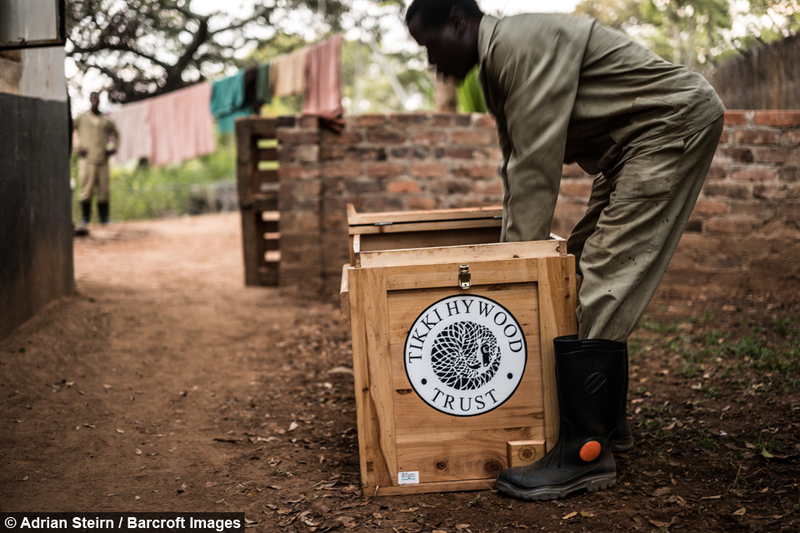 Committed minders from the The Tikki Hywood Trust in Zimbabwe work hard to protect the species with a one-on-one care programme. The charity workers are assigned with one pangolin each, where they spend 24 hours a day rehabilitating and walking the majestic mammals so that they can forage naturally. Surprising to most, pangolins are one of the world’s most endangered species, with over one million of them killed every year for their scales, meat and blood. In September this year, world leaders in conservation voted unanimously to ban the pangolin trade, such is the threat to the species with a pangolin being taken from the wild every 5 minutes. 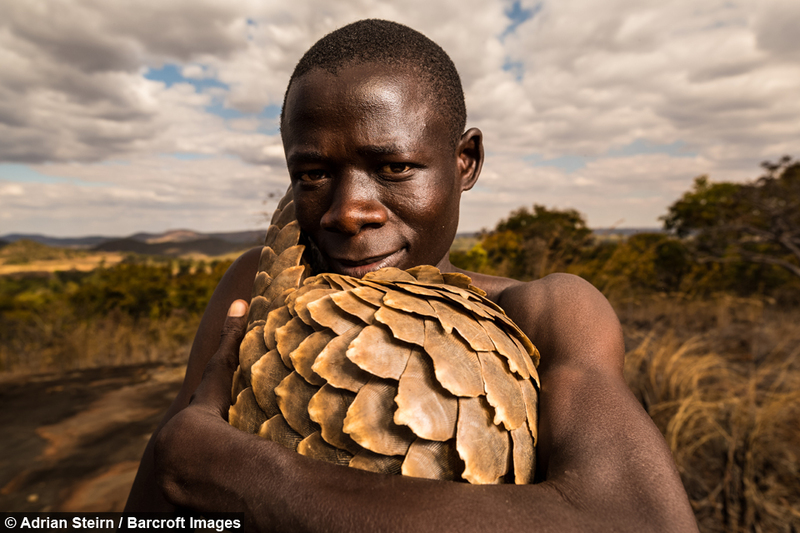 Photographer Adrian Steirn travelled to Zimbabwe to to capture the mens’ complete commitment to the cause they serve and bring much needed awareness to the pangolin. Adrian, 37, said: “Pangolins are a mammal that most people have never heard of. Yet they are the most trafficked mammals on our planet, with more than one million wild pangolins have been illegally hunted and killed in the last decade alone. “They’re one of the most difficult animals to see and photograph in Africa – what’s often referred to as a ‘lifer’, a once in a lifetime sighting. 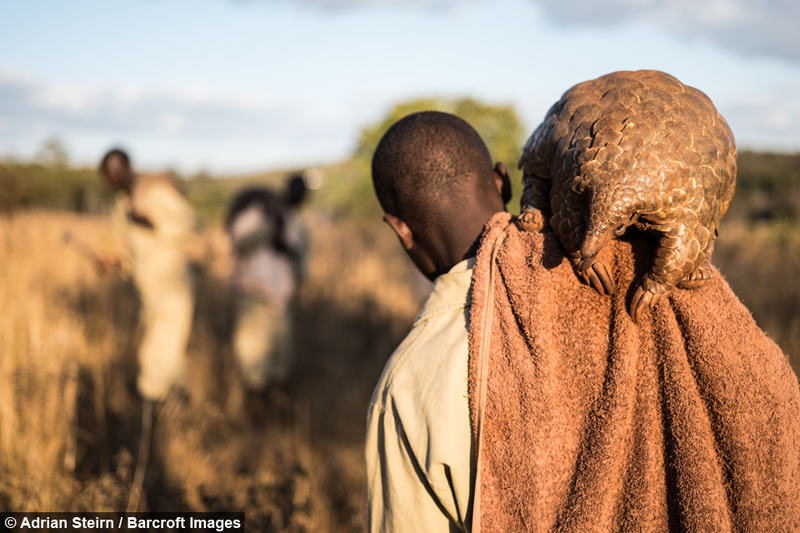 Other images in the series show the rescued ground pangolins at close quarters - offering a rare insight into the behaviour and beauty of the little known creatures. “For the men, it is an incredibly labour intensive process. Their minders do everything for them - carry them around, feed them. It’s massively time consuming and it’s a job that you really can’t have an ego for. 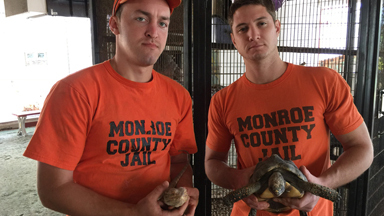 The Tikki Hywood Trust’s focus is to rehabilitate animals injured and or rescued from trade and to release them into the wild once they are ready. 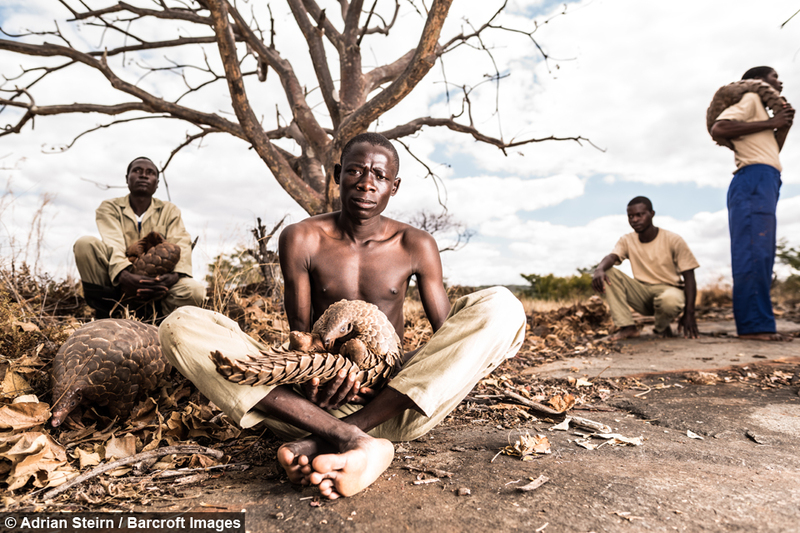 Along with helping rescued pangolins in the rehabilitation process, the Tikki Hywood Trust have also pioneered significant legislation change regarding poaching and trafficking in Zimbabwe. 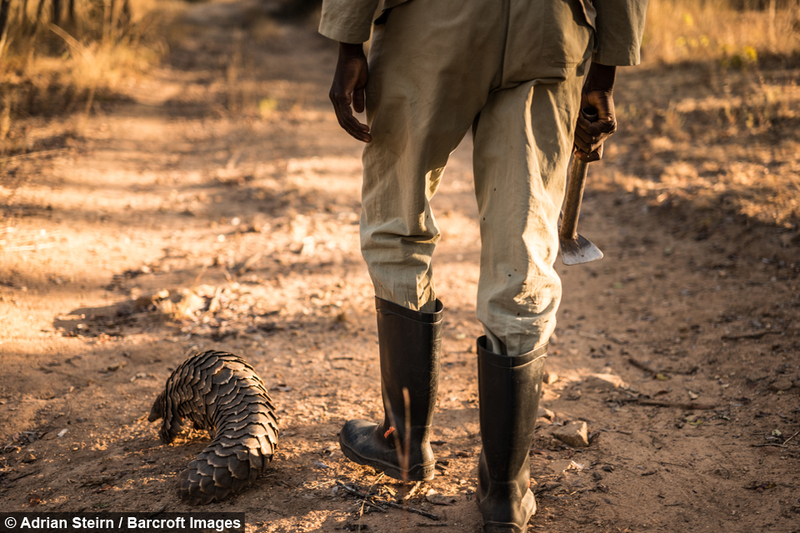 Hywood said: “A lot of pangolins we were receiving were the victims of poaching incidents, where there were very limited consequences for poachers - small fines and a slap on the wrist." With poachers receiving so little for their consequences, Lisa and her team reviewed the legislation and found that there was a basis for strong anti-poaching and anti-trafficking laws that needed to be updated and put into practice. She explained: “So we started working with the judicial system to bring the law up to date and ensure it is enforced. 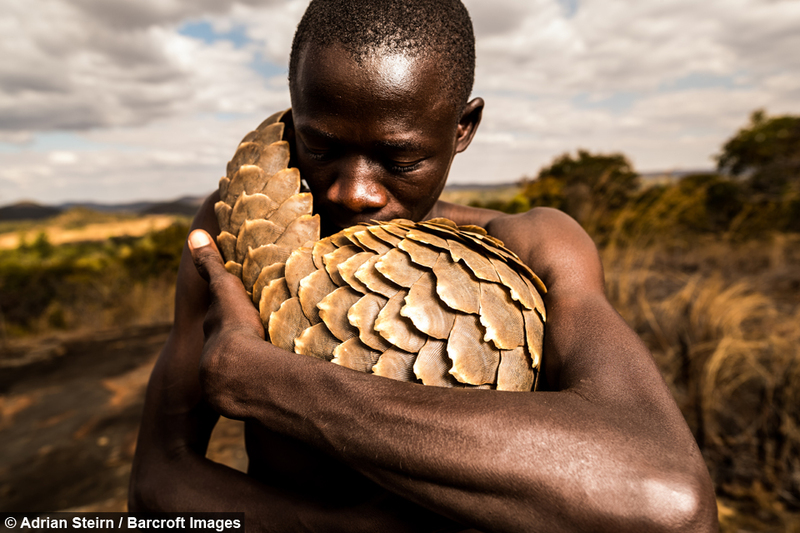 “Now Zimbabwe has the fourth highest penalty in Africa for pangolin poaching. In Zimbabwe if you’re found in illegal possession of a pangolin it’s a US $5000 fine and a nine-year jail term,” said Lisa. 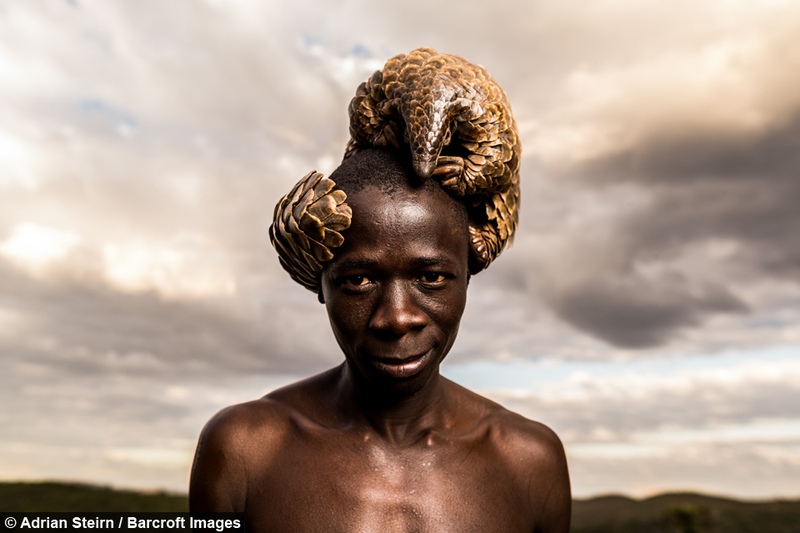 For the basis of the portraits, photographer Adrian decided to capture the pangolin in a way no other had done before. 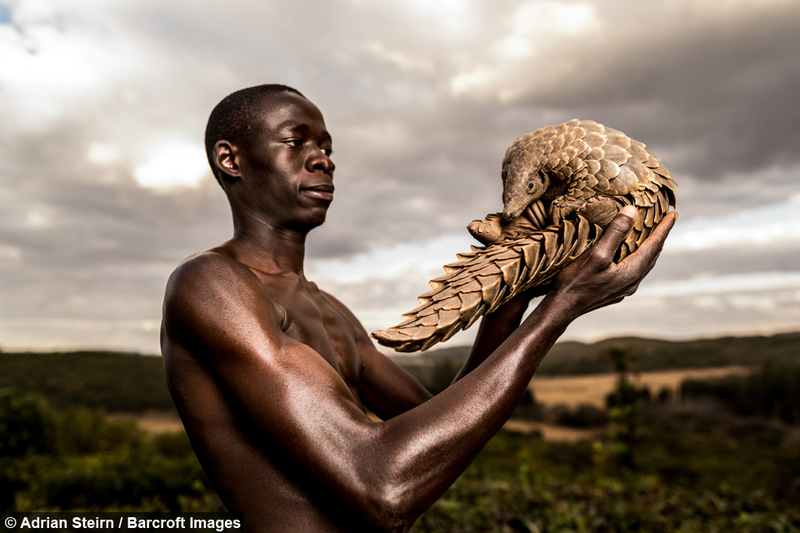 He said: “I chose to focus on the minder’s relationship with the pangolin because I thought that it was something we could all empathise with. 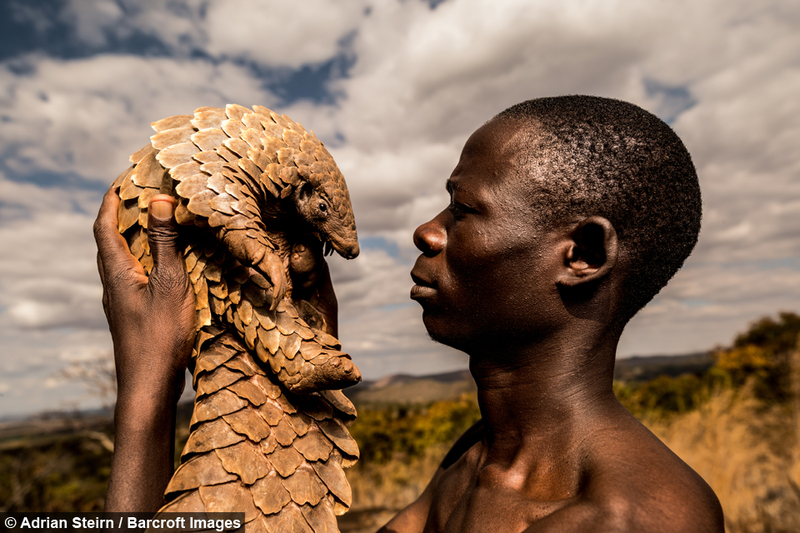 The Pangolin Man portraits will also join The Pangolin Collection of jewellery, also launched this month by Patrick Mavros, a luxury goods brand based in London and Harare, in benefitting the Tikki Hywood Trust, with 10% of sales revenues from each being donated to support its work. The Pangolin Collection of jewellery was created using the traditional technique of lost wax casting and features pieces in three precious metals. The collaboration behind the pangolin project was born when Adrian Steirn met the Mavros family and heard about the development of a new collection of their celebrated jewellery, inspired by their long standing relationship with the species and designed to raise awareness and funds for the Tikki Hywood Trust. Lisa and the trust also hope that Adrian's photos along with Patrick Mavros’ jewellery collection will raise awareness about the gentle pangolin. Adrian added: “I hope that it achieves a level of enlightenment about the threats facing pangolins.